I mention in the video that you can certainly substitute oats if you aren't able to track down quinoa flakes. No big deal at all. Start with all ingredients at room temperature. Also, different brands of nut or seed butter yield slightly different results, you can adjust as needed adding more nut butter or flakes until the mixture holds together nicely. 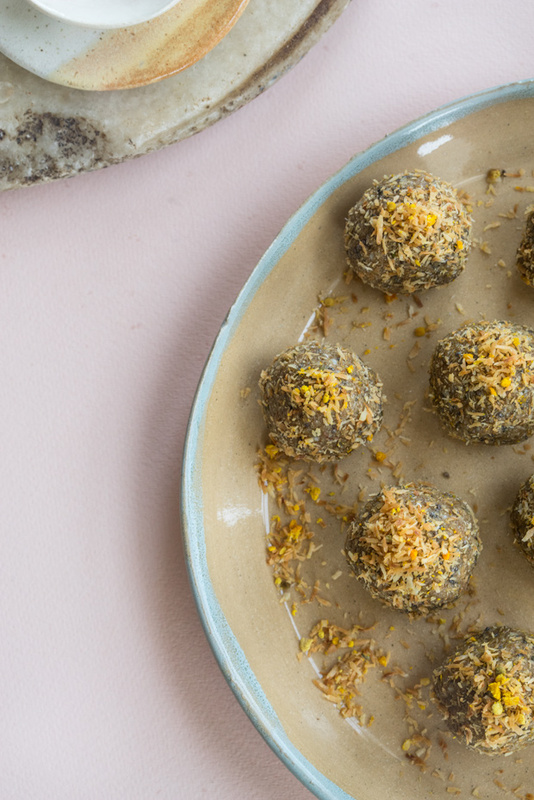 To make these vegan, leave out the bee pollen. 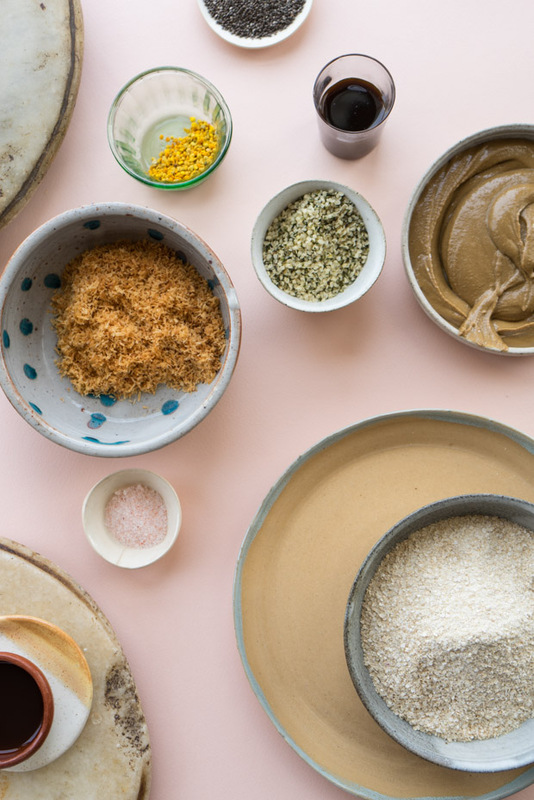 Combine the quinoa, chia seeds, 1/4 cup of the toasted coconut, hemp seeds, coconut nectar, vanilla, and salt in a medium bowl. Toss until well combined. Add the sunflower butter, and use your hands to really work the ingredients together. Adjust a bit if necessary, adding a bit more seed butter if the mixture won't stay in a ball shape. Alternately, add more quinoa flakes if the mixture is too sticky. 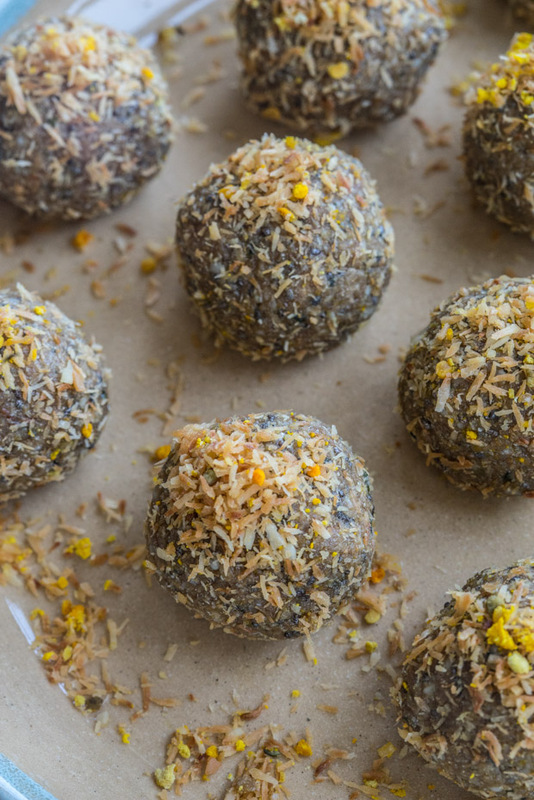 Shape into balls by hand, and roll in a coating made of the remaining coconut flakes and bee pollen. Arrange on a parchment lined baking sheet or plate, and refrigerate or freeze. Carry around in a small jar, or any small structured bento or container.